FL Studio 20 has hit the shelves. Boasting a swag of new features including time signature changes, track freezing, lifetime free updates and finally, support for Mac. FL Studio has hot version 20. 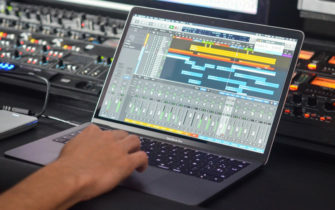 There’s a host of upgrades, including Mac support, that has transformed Fruity Loops into a full blown professional DAW. Fruity Loops has been around for 20 years (hence the name) and has long been regarded as a right of passage for musicians who want to get into digital audio. With improvements to its audio recording workflow, plugin updates and support for Mac OS, FL Studio 20 can be considered as an all-in-one production environment, with enough grunt to get you from demos to masters. Aside from the options that ship with the software, the new version can host VST and AU plugins. There’s also a companion mobile app available, so you can take your projects on the road as well. Check out the video below for a detailed look at all the new and improved features.